The repeal of the Eighth Amendment, the cervical check story and homelessness were ranked as the three most important news stories in Ireland last year, research by Core marketing communications for its annual cultural index survey shows. The results are based on the views of 10,000 Irish consumers discussing 198 news stories across 20 categories. The interviewees were asked which stories they considered most important and were most aware of. Analysis of the responses indicated that the top 10 stories for public awareness captured the attention of over 90pc of the population, with news stories in March relating to the ‘Beast from the East’ dominating the list. 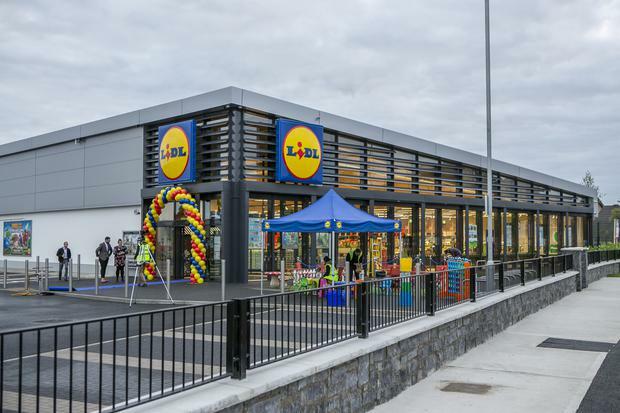 It included the looting and later re-opening of Lidl in Tallaght and the selling out of slice-pan bread due to the snow. Another brand-related story that scored well in awareness was Ryanair’s cancellation of flights due to staff strikes in June – on a par with the World Cup in Russia and the wedding of Prince Harry and American actress Meghan Markle. Stories that received less attention included the announcement of the ‘Love Island’ winner, Facebook’s decision to change its newsfeed settings and Westlife being “speechless” after tickets to their Croke Park concert sold out in 10 minutes. While the most important stories often did not score as highly in terms of public awareness, interviewees noticed stories around social issues, especially with regard to women, health and housing. Despite being consistently in the news, Brexit only placed 35th on the list of most important stories, as younger adults have been less engaged with the developments around the UK’s planned departure from the EU. In sport, the top story was the Irish men’s rugby team’s win over New Zealand, followed closely by the death of footballer Liam Miller. In tech, while participants highlighted the importance of child safety and data privacy, including GDPR and the hacking of Facebook, fewer people were aware of these stories. Other stories which had high awareness included the death of Dolores O’Riordan in January and the opening of the first Krispy Kreme outlet in Blanchardstown in October. Core strategic planner Finian Murphy said the survey shows up what Irish people are sharing and allows marketers to see the news stories that connect emotionally with consumers. “Often we ignore the quiet and personal stories that resonate most with people and focus more on stories that get most attention. But we can’t ignore the stories that impact on people personally,” Murphy added. ÷ The tender process for marketing communications services for the ESB Group has been finalised. The group, which includes Electric Ireland and ESB Networks, has appointed three agencies – Rothco, Zoo Digital and Genesis. The review crossed creative advertising, digital, ongoing design and straight to studio services, and strategic brand planning and brand-building services. Meanwhile, VHI Healthcare has appointed Spark Foundry to handle its media buying and planning in place of PHD. Spark Foundry’s managing director Sandra Alvarez joined the Core agency from PHD. ÷ German car brand Opel is the new sponsor of ‘The Last Word’ with Matt Cooper on Today FM. The one-year contract includes promo spots, sponsorship stings, alongside online content and promotions throughout the year. The deal was brokered by Communicorp’s Media Central and Opel’s media buying and planning agency, MediaCom. The weekday show, which runs from 4.30pm to 7pm, has an average daily audience of 137,000 listeners. Hear, hear. Happy New Year.